Hey there!!!!! It's Friday!!! We all made it through another week. I do have to work in the morning but that's ok. It's only four hours, I can handle it. 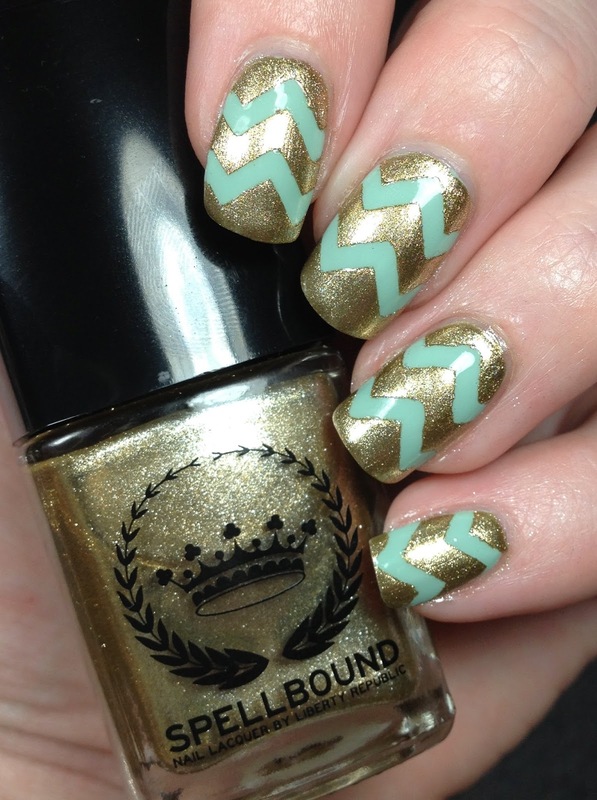 Luckily for me Neverland Lacquers was kind enough to send me some nail stencils to try out. 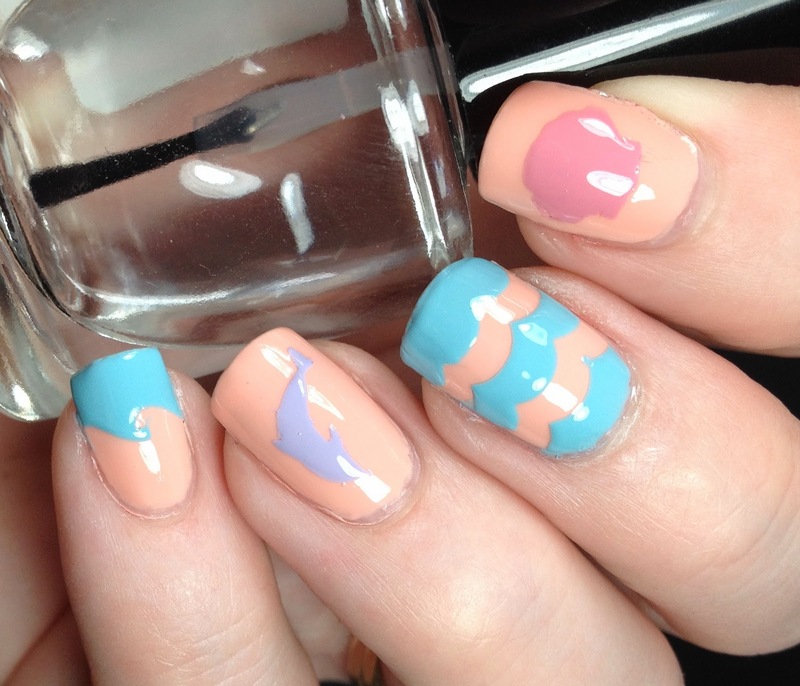 Neverland Lacquers has a wide range of both polishes and vinyls. She sent me a great assortment of stencils. 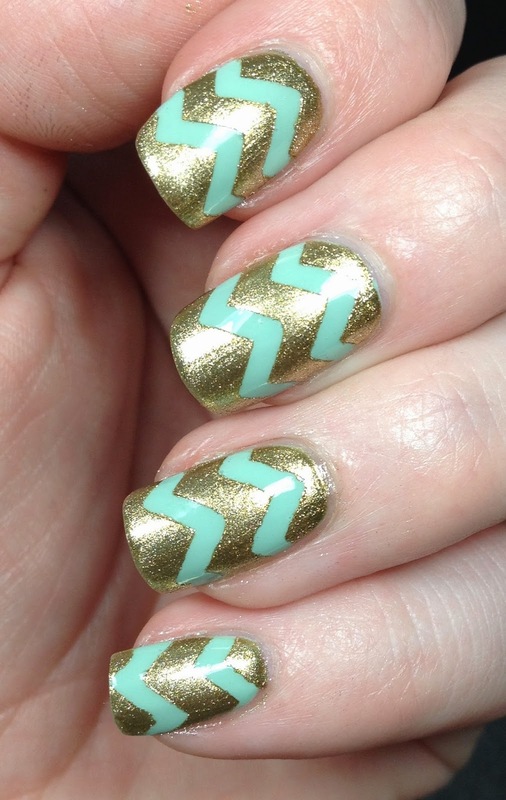 First up is a combo of full nail stencils and some smaller ones. I used the Beach Designs set to create this look. You can find them here: Beach Designs. 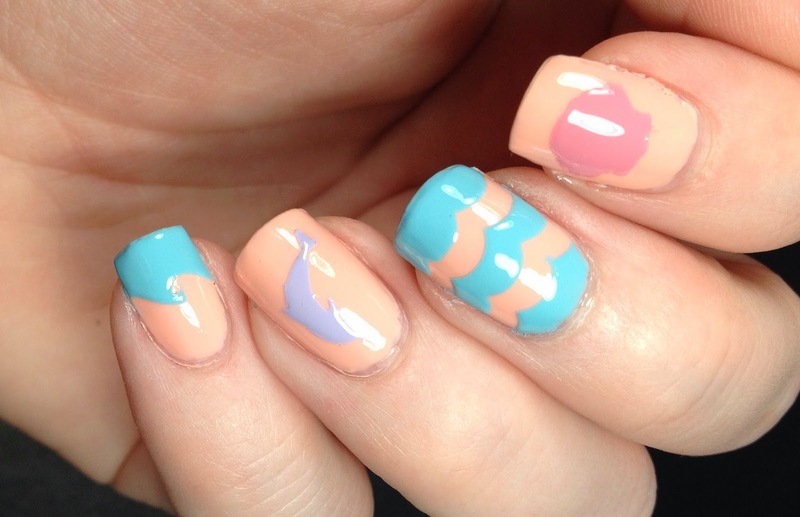 I used all colors that reminded me of the beach. I did a nice pale orange as the base and once that was completely dry (and I do mean completely) I placed the desired stencils where I wanted them and then painted two coats of the chosen color over top. I peeled off the stencils before it had time to dry. I topped these with HK Girl from Glisten and Glow. 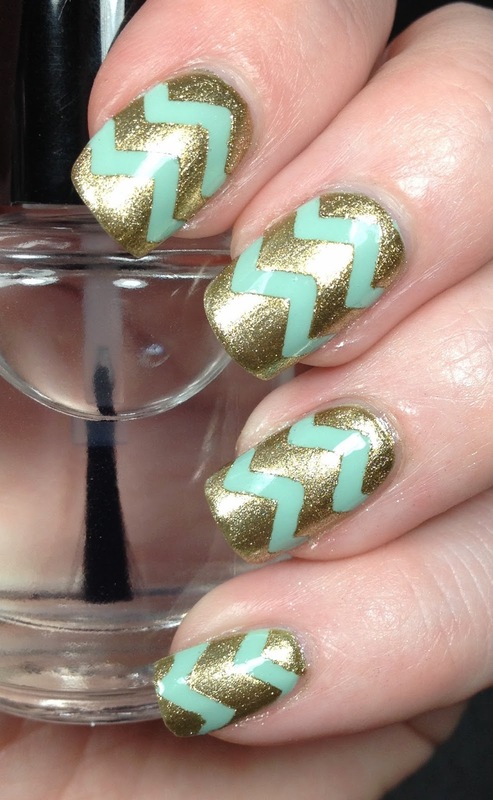 The second mani I did featured the Chevron stencils. Man did I love this mani. I put this on Monday night and I took it off Thursday night, but only because I got a chip in my thumb when I was opening a box. Same method as before, I painted my nails and waited for them to be completely dry. I applied the stencils where I wanted them, then I painted two coats of the gold polish. I highly recommend using these to help create your next nail are mani I just loved them so much. Added bonus? They are so inexpensive!!!! 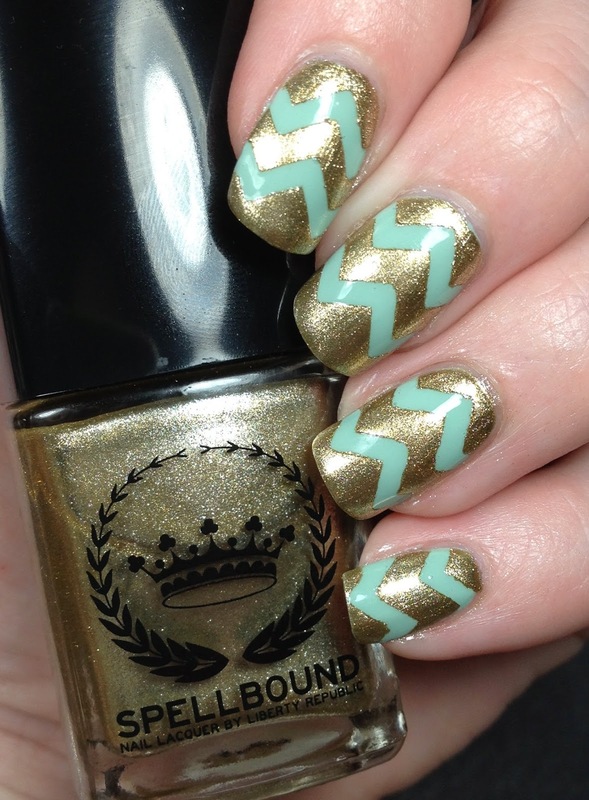 For just $4 you can get a set of 100 of those chevrons!! Both manicures look good! I love the first one a lot.